One top Sydney museum has recently undergone some extensive renovations, and is situated at the hub of activity in the city. This museum lights up when lights are on at Vivid Sydney time. 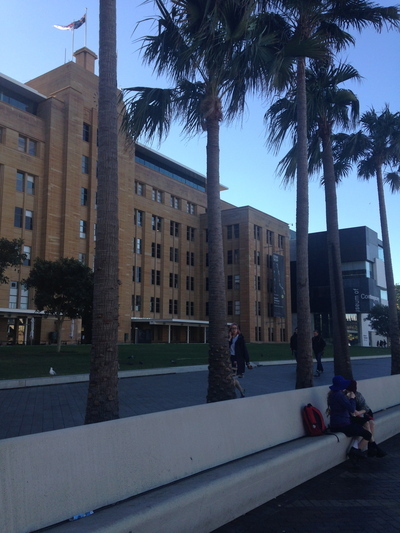 There is another museum right opposite Cook and Phillip Park, of which is quite popular among kids and adults alike. The latter museum is quite educational as well, hence a popular school excursion destination. Which museum in Sydney is your favourite? Having recently visited the Maritime Museum, I'd have to say that was one of my favourite Sydney museums. We spent about 3 hours exploring and still didn't get to see everything. The museum is great regardless of whether you are 4 or 104. Lots of hands-on exhibitions for kids and great stories told by the volunteers who work there. Equally divided between the Museum of Contemporary Art, and the Australian Museum on College Street. I think I visit the Powerhouse Museum more than any other. Best place to go sales shopping in Sydney?